The intent of this schooling show is for exhibitors to receive positive & constructive tips directly from experienced judges. This show is designed to be a learning experience for horse and rider. The classes will run as a regular class, judged and awards given according to each judge’s placings. Each judge will then explain why they placed the class as they did and will provide constructive criticism to help riders improve. Brief questions will be allowed after judges complete their critiques. **Since this is a schooling show, training equipment is allowed in all classes. ***Helmets are required for all riders under the age of 18 and strongly encouraged for riders over the age of 18. ****long pants and proper riding boots are required. 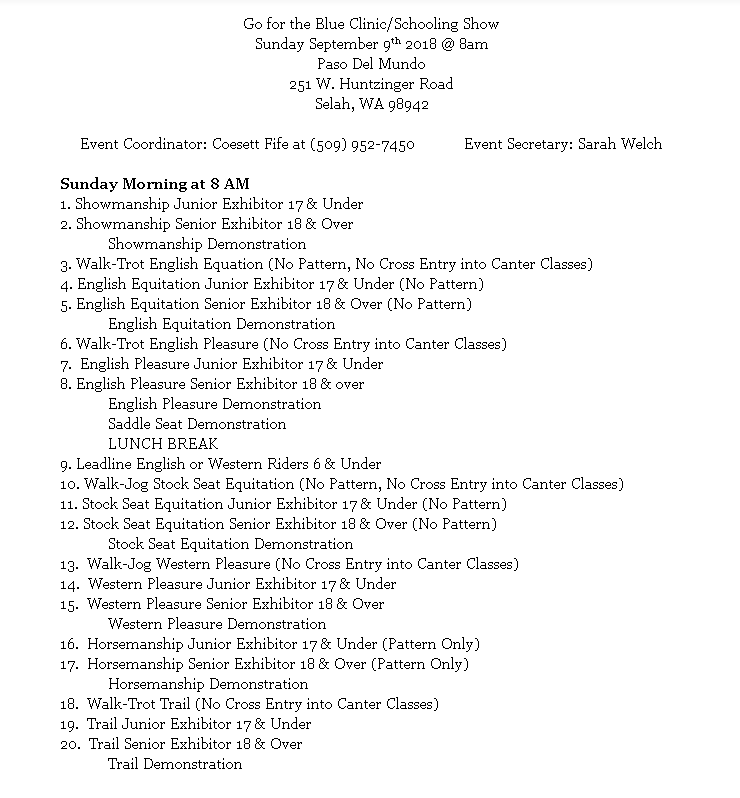 Please see the entry form for further details; class list, rules & entry fees. Click to view our Entry Form.